Read the latest and most important Michigan legal news by our top rated Michigan personal injury lawyers. News items include the most recent and highest settlements in personal injury lawsuits throughout Michigan. Other legal news includes information on newsworthy accidents throughout Michigan and legal updates on the most current personal injury cases in the news. To have one of our award winning, top rated lawyers represent you in your case, call us now at (800) 606-1717 for a free, no obligation consultation. We do not charge any legal fees unless we are able to recover a settlement for you! 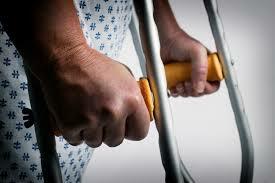 There is nothing to lose, so call our award winning Michigan personal injury attorneys today! Michigan State To Pay Survivors Of Larry Nassar Abuse; Buckfire Law Taking On Cases For New Claimants Michigan State will pay $500 million to survivors of Larry Nassar's sexual abuse. If you're in need of a lawyer for a child sexual abuse claim, you will want a strong, experienced law firm who will best represent your interests while maintaining the sensitivity your case deserves. Lawrence J. Buckfire Named Top 100 Litigation Lawyer By ASLA Lawrence Buckfire, of Buckfire Law, has been selected as one of the Top 100 litigation lawyers in Michigan for 2018 by the American Society of Legal Advocates. Buckfire Law Launches Redesigned Cutting-Edge Personal Injury Website The redesigned website launched Feb. 1 with a modern look and new features to make it easier for guests to gather information and make informed decisions. Playtex Infant Carrier Recall | MI Child Injury Lawyer Michigan child injury lawyers report recall of Playtex Hip Hammock Baby Carrier due to fall hazard to infants. Parents of children injured do have legal rights! Lawrence Buckfire Named “Michigan Super Lawyer” Lawrence Buckfire of Buckfire & Buckfire named "Michigan Super Lawyer" for his expertise in representing victims in personal injury accidents. Polish Attorney Joins Michigan Personal Injury Law Firm Polish Attorney joins personal injury law firm of Buckfire & Buckfire representing Michigan accident & injury victims. Call now! Michigan Fireworks Fourth of July Safety Tips Best lawyers for Michigan fireworks accident injuries gives safety tips for the Fourth of July holiday season. Buckfire & Buckfire, P.C. Personal Injury Attorneys Create Pinterest For Accident Victims The Michigan personal injury attorneys at Buckfire & Buckfire, P.C. recently creates Pinterest boards as an avenue for clients to learn more about the accident law firm. Michigan Personal Injury Attorney Robert Lantzy Named Super Lawyer Buckfire & Buckfire, P.C. accident attorney Robert Lantzy is named Super Lawyer for his outstanding achievement of representing Michigan personal injury accident victims. Larry Buckfire Listed As Top 2013 Personal Injury Lawyer By Hour Detroit DBusiness Magazine Larry Buckfire, partner and trial attorney of the Michigan personal injury law firm of Buckfire & Buckfire, P.C. has been listed as 2013 Top Lawyers by Hour Detroit DBusiness magazine in the practice area of personal injury and automobile accidents.